Posted May 18, 2017 by production & filed under Weddings. 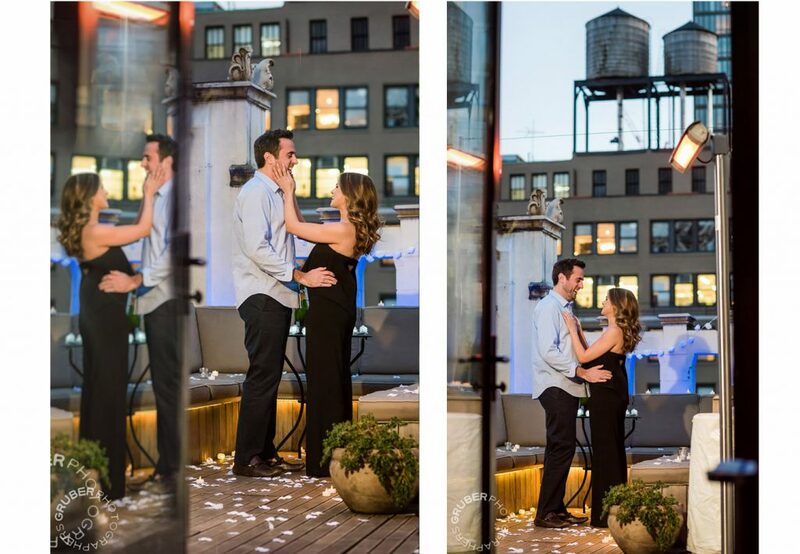 Our last secret proposal focused on a groom who made New York their proposal destination. 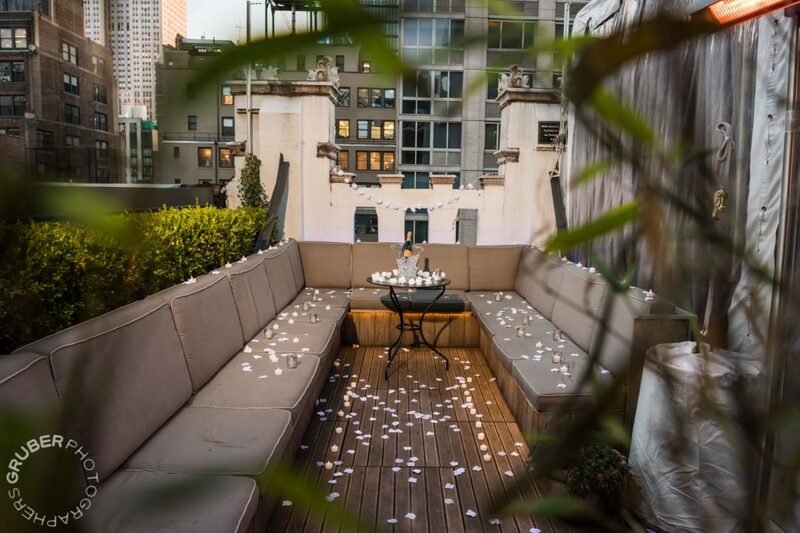 If you’re not looking for a destination proposal, how about making your destination a beautiful rooftop terrace? Up to the task as always: Gruber Photographers’ specialist in secret proposal photography—Maike! After booking the shoot, Eric contacted Maike a few days before and walked through his plan. Maike, as she does with all her secret proposal clients, walked through the whole plan with him, She remarked, “He felt a little more secure after the dry run over the phone!” After the dry run, they both had an idea of the timeline of the event—the lead-up to and the proposal itself would take no longer than 30 minutes. In this dry run, Maike considered her working space. The private terrace where Eric would propose was a very small, contained area; Maike knew that she wouldn’t have a lot of room to maneuver and would stick out during the surprise. Eric, knowing the limitations of the space, knew that Brittney would be so taken with the surprise that she wouldn’t even notice Maike snapping away. 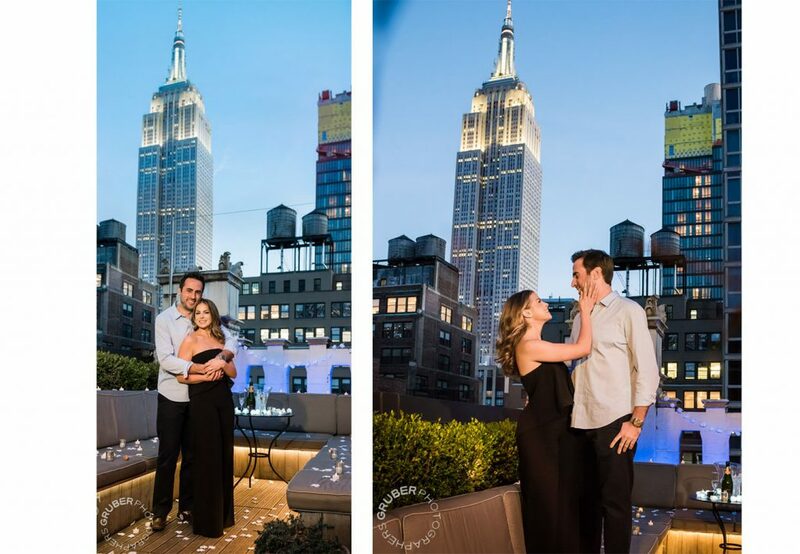 Maike also had to take lighting conditions into account—When you’re a secret proposal photographer, you have to make sure that your lighting is adaptable for every situation. What if the timeline goes off and the natural light isn’t what you expected it to be? What if the couple isn’t where you want them to be? Prior to the shoot, Maike went to the rooftop to scout out the lighting and to devise her lighting plan. For a shoot on a spring day at around 7:30PM, she anticipated that the sky would be too bright. 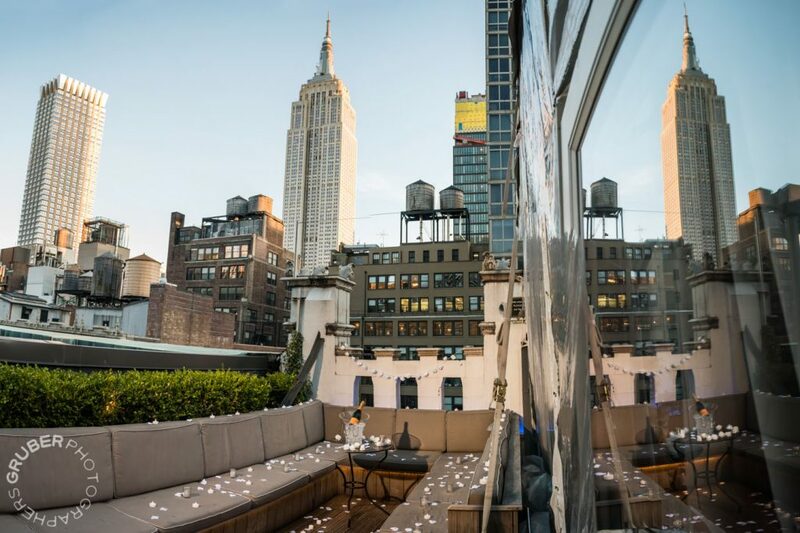 She saw that the sun would hit the Empire State Building nearby, and being on such a small terrace, she knew that anything happening on the terrace would be too dark in relation to the bright skyline. To counter this, Maike placed her own LED lights inconspicuously between some of the hotel’s plant decor; they blended perfectly into the scenery. The hotel offered her some bright lights to use but she preferred to use her own equipment which had dimmers and exact color balance. Now that’s how you prepare for a secret proposal! Now this proposal wouldn’t be a long, drawn out affair. Quite the opposite, in fact. The first two, most crucial surprises would only take up less than 30 minutes. Through Maike’s photos, we were able to timestamp when everything happened. Eric and Brittney arrived at the hotel to get drinks. Maike was in the background taking some candid shots of them. As she was taking her third shot, she felt as if Brittney had seen her! Luckily though, she was only looking in the general direction! Not wanting to even risk blowing her cover, Maike immediately put the camera away and waited for the next step she and Eric had discussed: the floor manager taking them out to the private terrace. The floor manager had gone up to Eric and Brittney as planned, saying, “Feel free to check out our private terrace space!” Intrigued by the prospect, they followed the floor manager to the space where Maike was patiently waiting. Everything was going according to plan. Nine minutes in, and it’s already time to propose. Though the whole proposal was meticulously planned. Maike still had to be alert and prepare for the unexpected. At 7:26:55, Eric was down on his knee for six seconds which, to Maike, was an eternity. She had such a small window to capture the emotion and reaction of the moment. Eric rises and they kiss. She admires her new ring! Maike has less than a minute to capture their immediate post-proposal bliss. Like with the couple in the previous post, she just let them have and take in their private moment. 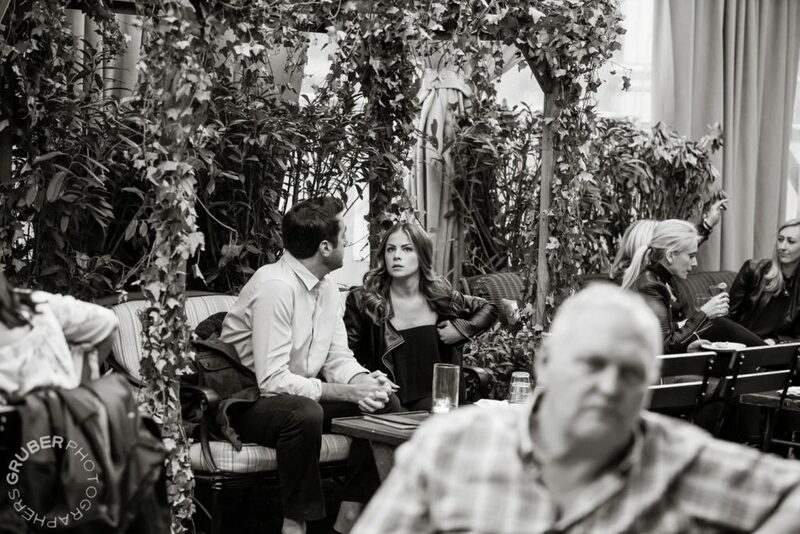 As Maike says, “You just let it flow and… the feelings take over—they let go and fall into the moment.” She does this on purpose as the couple can embrace this once-in-a-lifetime moment together. After the proposal, Maike was formally introduced to Brittney. Maike took some shots of the couple to commemorate their moment. The charade still continued though—there was a third surprise for Maike to shoot, and Maike and Eric had planned some codewords together to not arouse Brittney’s suspicions. Once they took some pictures, Maike’s codeword was “I feel like we got everything.” Eric would reply with one of two things, saying either “Let’s get a few more pictures” or “OK.” The former statement would signify that he still felt the emotions of the shoot while the latter would give Maike a graceful exit to move to the bar area and prep for the third surprise of Brittney seeing her sisters. After a few more pictures, Eric gave the “OK”—Maike wished the couple luck and packed up her things, the job (and the day) seemingly finished to Brittney. 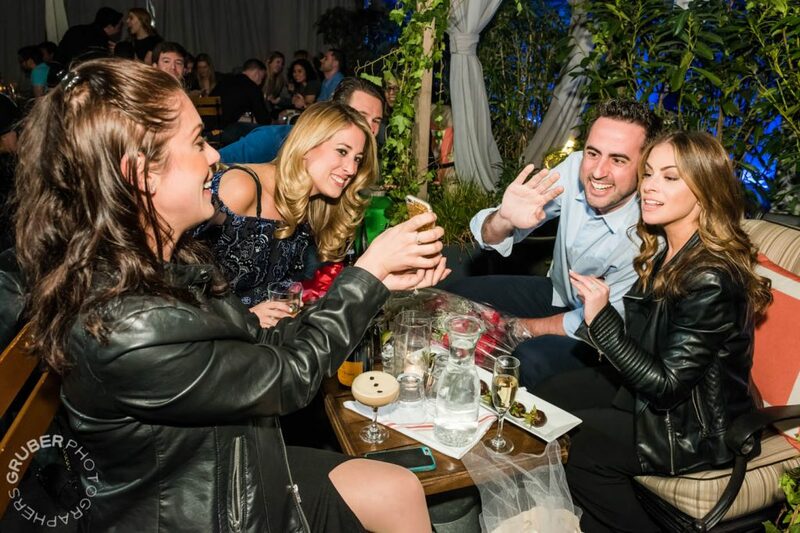 Everything went off without a hitch and now Eric and Brittney have the photos to prove it. We saw strong planning from Eric, but it was Maike’s preparation and efficiency that made it great. We saw her anticipate the proposal in the previous post—now we saw her quickness in action. 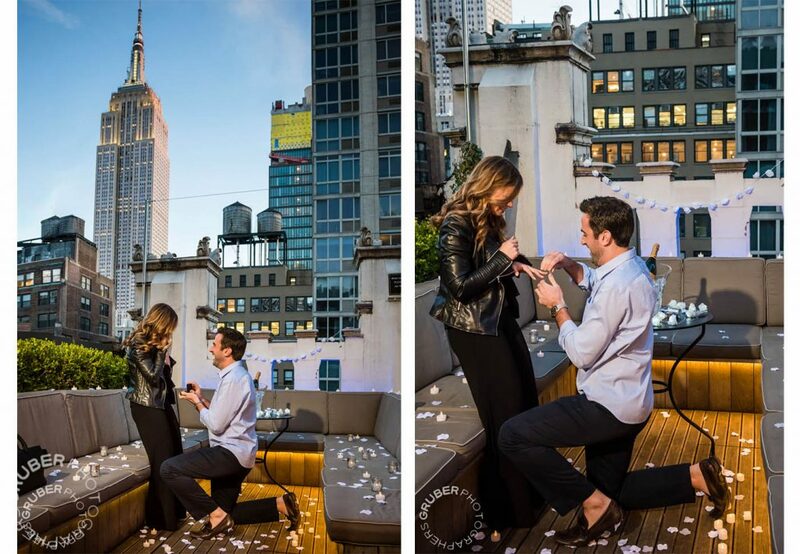 Capturing a proposal is no small feat—especially when the groom is only on bended knee for six seconds! Her past experience in capturing circus performers’ athletic movements and quick performances helps her focus during these quick moments. Even her attention to detail is to be admired—she knew the lighting situation was dire and prepared her LED lights beforehand. Much like how she was there for Craig in the previous post, she was Eric’s knowledgeable partner in his master-planned secret proposal. 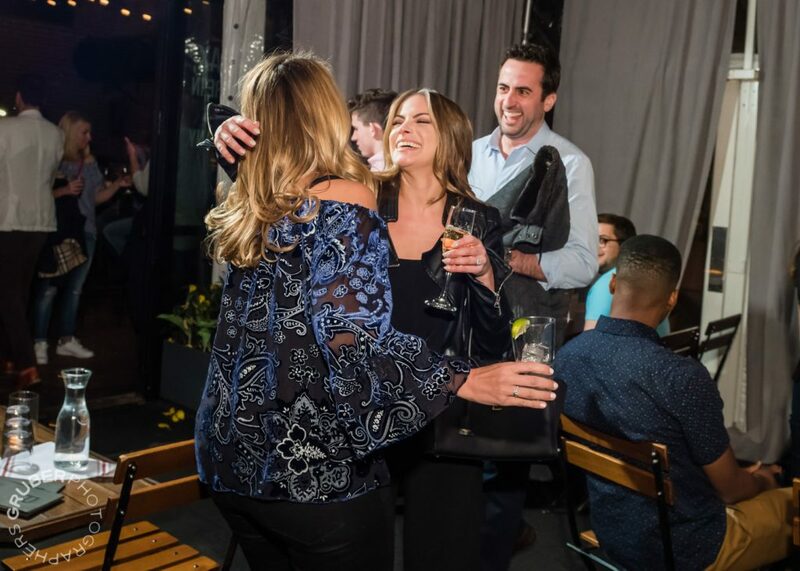 All of this culminated in a beautiful surprise proposal that Eric and Brittney can share with friends and family for life.